This project received the MCSE School Impact Fund 2017, City, University of London. Grennan, S., Priego, E., Sperandio, C. & Wilkins, P. (2017). 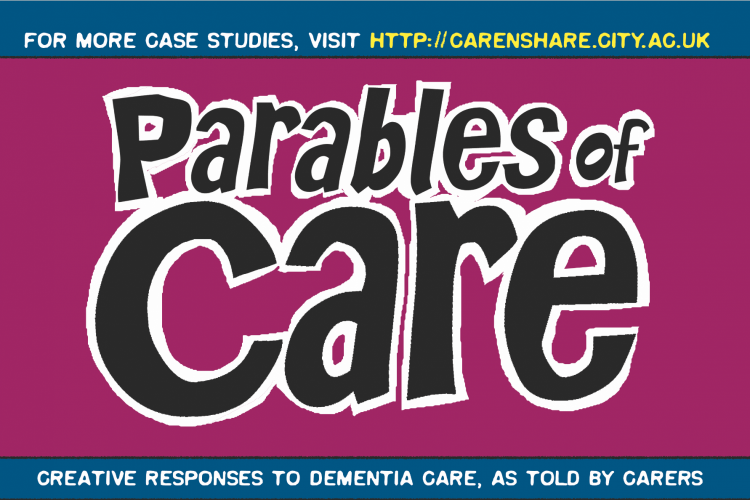 Parables of Care. Creative Responses to Dementia Care, As Told by Carers. City, University of London, University of Chester, Douglas College. ISBN 978-1-5272-1200-8. Available from http://openaccess.city.ac.uk/18245/. URI: http://openaccess.city.ac.uk/id/eprint/18245.